February 2017 was an extremely productive month for the Canadian auto industry. Compared with what’s to come, volume was admittedly low. Canadian consumers, businesses, and governments typically purchase and lease half again as many new vehicles in March than they do in February. But compared with Februarys of yore, nothing compared to February 2017. Last month was the highest-volume February in the Canadian auto industry’s history, just as January was the best January in history. Thank the Ford F-Series, Canada’s best-selling vehicle, for adding 270 more sales to the ledger. Thank the Honda Civic, Canada’s best-selling car, for jumping 37%, year-over-year. Thank the Honda CR-V, Canada’s top-selling SUV, for reporting a 20% increase. 2017 is on track to be a fifth consecutive year of record auto sales in Canada. There are barriers standing in the way. To date, the growth achieved by Canada’s SUVs and crossovers, including the Canadian-built CR-V, has counteracted continued declines among passenger cars, which are down 4% so far this year. That trend needs to continue. Flat pickup truck sales won’t be a boon to the market at large, either. Pickups account for one in five new vehicle sales. Those trucks create the kinds of profit that enables General Motors, Ford, and Fiat Chrysler to discount excessive passenger car inventory. We’re also seeing brand new cars and all-new replacements come to market with prices that reflect the current USD/CAD exchange rate, rather than the parity at which the dollar operated in 2013. If MSRPs rise, expect demand to taper somewhat. A number of new vehicles were added to the fleet in February 2017, the first month for the Kia Niro, Alfa Romeo Giulia, and Volvo V90. Canadian pricing for the Giulia starts 31% north of its U.S. MSRP. 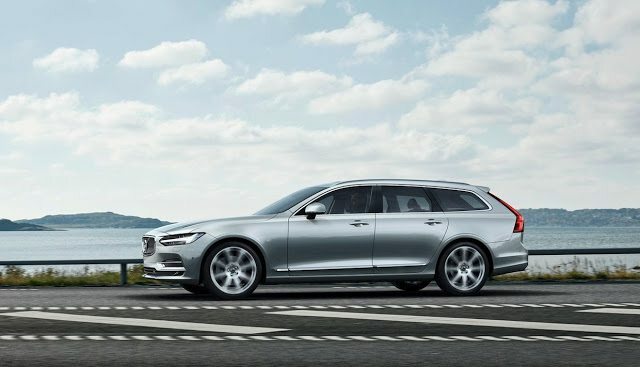 The V90’s Canadian price is 22% higher than its U.S. price. The Niro comes in more closely linked, only 6% more costly in Canada than in the U.S. Reminder: these are 2017 year-to-date rankings, but you can sort vehicles by February 2017 volume by clicking the February 2017 column header, or you can rank vehicles by improvements or declines using the % columns. Or, most importantly, you can list automakers together by selecting the Vehicle column header. ² Total Prius Family sales: down 25% to 317 in February; down 13% to 617 YTD. ¤ Automakers release sales figures for the E-Class and CLS-Class and the Passat and CC together. Sales data for brands such as Ferrari, Lamborghini, and Rolls-Royce are unfortunately not broken down by model. estimates say sales for those brands in 2017’s first two months were 40, 36, and 16 units, respectively. It is believed that Tesla sold 214 new vehicles during the first month of 2017.